Queen And Lambert To Rock The Oscars Bohemian Rhapsody, a biopic about Queen's late frontman Freddie Mercury, is up for five awards. Two surviving band members will play at Sunday's ceremony, joined by Adam Lambert singing lead. Adam Lambert performs with Queen in Budapest in 2017. The collaboration will take the stage at the Oscars on Sunday, the Academy of Motion Picture Arts and Science announced. Queen will take the stage at the Oscars next weekend, the Academy of Motion Picture Arts and Sciences announced Monday. "Is this the real life? Is this just fantasy?" the Academy tweeted. "We welcome @QueenWillRock and @adamlambert to this year's #Oscars." The announcement comes as Bohemian Rhapsody, a biopic about Queen's late frontman Freddie Mercury, garners critical acclaim. The film is up for five awards on Sunday, including best picture and best sound mixing. Rami Malek, who plays Mercury, has been nominated for best actor in a leading role. The film also took home a couple of Golden Globes last month including best picture, drama – and has ratcheted up sales at the box office to become the highest-grossing music biopic of all time, according to Deadline. Two present-day and original members of Queen – guitarist Brian May and drummer Roger Taylor – and the band's manager, Jim Beach, are all listed as producers on the biopic. The performance is the latest development in a bumpy path to the 91st Academy Awards ceremony. Kevin Hart stepped down as host of the event in December, facing backlash over a series of years-old homophobic tweets that resurfaced. Earlier this month, ABC Entertainment, which will broadcast the awards, said the event would not feature an official host for the first time since 1989. Then last week, the Academy reversed a widely criticized decision to present four awards during the commercial breaks, including best cinematography and film editing. The plan was originally intended to trim the length of the broadcast event, which last year ran nearly four hours "while garnering the lowest U.S. viewership in Oscars history," as NPR's Bob Mondello reported. Lambert has been performing occasionally with Queen since the 2009 American Idol season that launched his career. 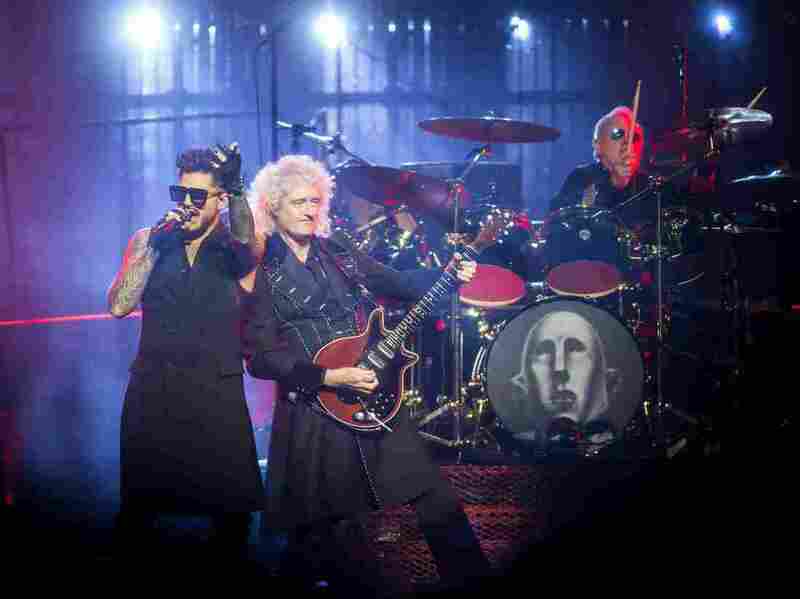 The collaboration Queen + Adam Lambert has toured across the world, including in North America, Europe and Australia. John Deacon, the band's retired bassist and third surviving original member, hasn't performed with the group in years, nor was he involved with Bohemian Rhapsody.